How to Fix ERR_CONNECTION_RESET Error in Google Chrome? Err_Connection_Reset Error occurs when there is a problem between the computer and the web server to load the webpage. For that reason, first of all, reload the current webpage and restart your browser. 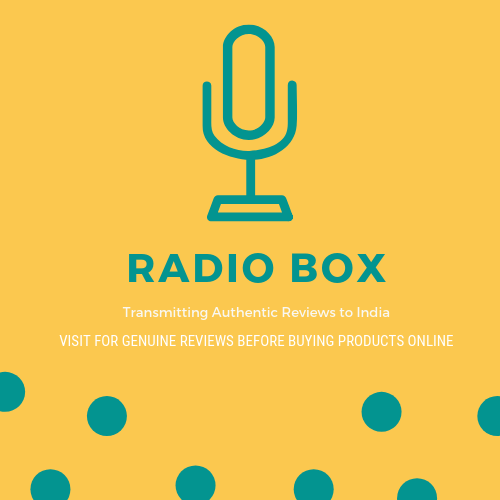 If this would not work then follow other methods. 1. When you across this error ERR_CONNECTION_RESET in your browser. 2.The first thing you need to check the internet connectivity. 3. If the connection is wired then check wire is connected properly or not. 4. Besides that also check your VPN connection and make sure it is not blocking the internet. 5. Finally, disable the properties of VPN for locking internet and check the error appears or not. 1. Firstly check whether your chrome browser is updated or not. 2. 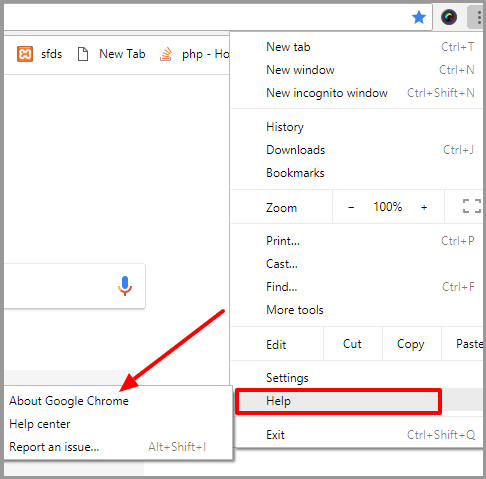 Go to chrome menu and click on help. 3. Click on about google chrome and a new window will open. 4. Hence, update chrome and finally relaunch it. Most of the times antivirus installed on your computer can cause the error. Simply disable your antivirus only for a short time. Lastly check still the errors appears or not. In almost the same way, disable real-time protection for some time. 1. Go to window defender software and select the setting option. 2. Next, under Real-time protection uncheck the turn on real-time protection. 1. Go to control panel and then System and Security » Windows Firewall. 2. Next, select Turn Windows firewall on or off. 3. 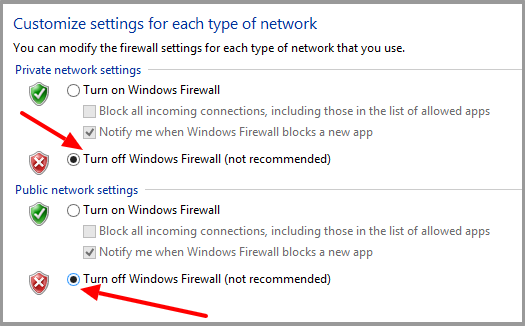 Click on turn off window firewall(not recommended) for every network. 1. Go to Start menu and click on command prompt as admin. 2. Enter the command netsh interface ipv4 show subinterface and enter. 3. This will show the active network connection of your system as shown below. 4. Now next enter the command netsh interface ipv4 set subinterface “Name of active network” mtu=1450 store=persistent and press enter. NOTE: Replace the“Name of active network” with an actual active network name (either TAP or LAN ) you are using on your system. 1. 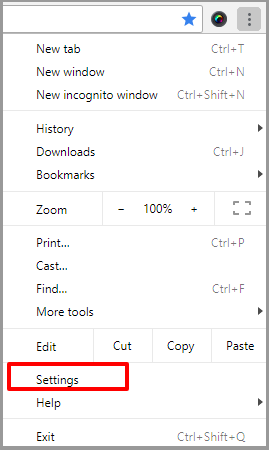 Open chrome browser and select Settings. 3. Go to the System section and click on Open proxy setting. 4. When you click on the proxy setting a popup will display on the screen named as Internet properties. 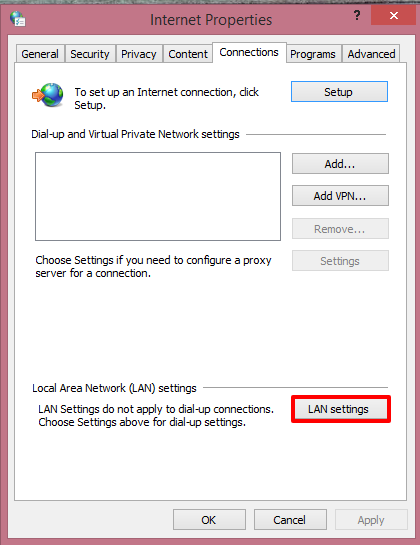 In the connection, tab clicks on LAN setting. 5. 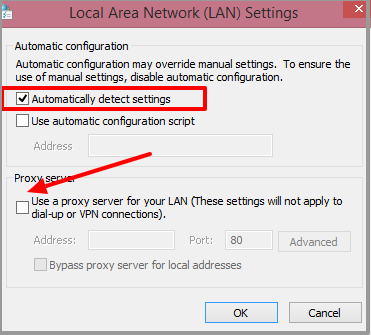 Finally, check the box Automatically detect settings and uncheck the box use a proxy server for your LAN. At last, restart your PC to apply changes. 1. Go to chrome browser and on the right-hand side click on three dot tab and select history. 2. 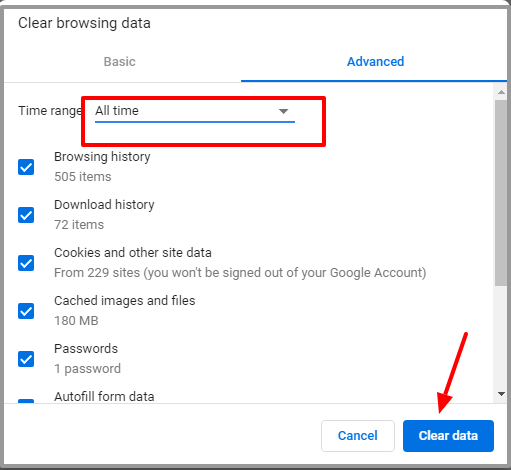 When you click on history a new page will open where select Clear browsing data. Make sure always select All time and finally click on Clear data. 1. Go to the chrome browser and then Settings » Advanced setting option. 2. Scroll down and in the Reset and Clean option. Finally, click on Restore settings to their original defaults. A new page will open where select Restore settings. That’s all I hope this article help to know that how to fix ERR_CONNECTION _RESET error in chrome?